Matthew Tosh will be headlining at the British Science Festival Beach Party on 9th September. In his most ambitious project to date, Matthew takes over a Swansea beach and a rugby ground to stage a spectacular large-scale demonstration of creative science. It’s big science and it is guaranteed to thrill. Add in the beach party atmosphere and this can only be an evening of science communication with a difference. Matthew will stage live and full-scale demonstrations to explain how chemistry, physics and engineering combine to create firework displays. But this is not an ordinary lecture or stage show with table-top demonstrations; Matthew will be using a nearby rugby ground to physically launch some of his demonstrations hundreds of metres into the air for his audience to see. 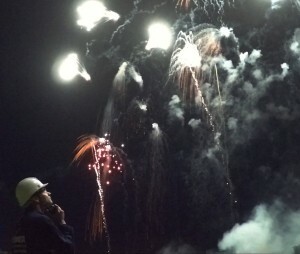 And then, in true Tosh-style, he brings the entire ensemble of science, maths and engineering together by unleashing a fully-choreographed musical firework display. Matthew’s creation forms the centrepiece of the chemistry-themed Beach Party, providing an energetic finale to the British Science Festival and an exciting opener for the Family Fringe weekend. Expect to witness the chemistry of colour and light, feel the physical demonstrations of shockwaves and learn how designers use maths to exploit these properties in conjunction with cutting-edge digital control systems. Matthew is renowned for his dramatic, informative and entertaining stage shows. He draws on over eleven years of professional fireworks and broadcasting experience to present his unique wow-factor shows that engage and inspire audiences of all ages. 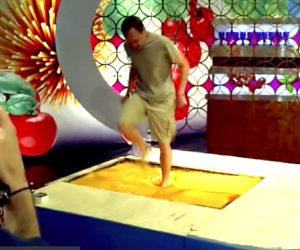 Keen to reach out to a non-traditional science festival audience, Matthew was quick to rise to the challenge of a beach party when he was first approached by the British Science Association earlier in the year. The event is FREE to attend thanks to generous support by The Royal Society of Chemistry, but you’ll need to register for entry to the party using the link below. 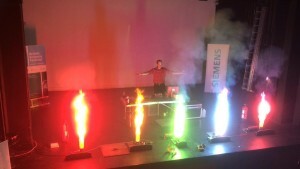 The British Science Festival, hosted by Swansea University and supported by Siemens, takes place between 6 – 9 September, with events on campus and across the city of Swansea. You can find out more about the festival and what’s on by visiting the British Science Festival website. Matthew Tosh is delighted to announce that Le Maitre Ltd will be sponsoring a flagship charity science show during British Science Week (13-22 March). The show has been commissioned by the British Science Association (BSA) and Kids Company in association with the Science Museum. Matthew was asked to produce a show that is a first introduction to the fun, creativity and wonder of science for children who wouldn’t have access to such opportunities. Known for his enthusiastic and engaging style, both with and without pyrotechnics, Matthew is thrilled to be able to help. A range of effects from UK manufacturer Le Maitre will be used in the show to demonstrate exciting science in action and, in true Matthew style, he has a few tricks up his sleeves. 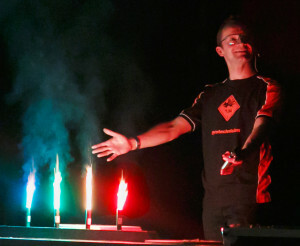 “Le Maitre is delighted to be supporting British Science Week at the Science Museum by providing pyrotechnics for the show. We have worked with Matthew on several occasions and he has a great way of getting kids excited about science. The children from Kids Company are in for a treat!” Says Sally Dobinson, Marketing Manager, Le Maitre Ltd.
It’s almost here! From the 13 – 16th March 2014, The Big Bang UK Young Scientists & Engineers Fair will pitch up to The NEC, Birmingham, to host the UK’s largest celebration of science and engineering for young people. 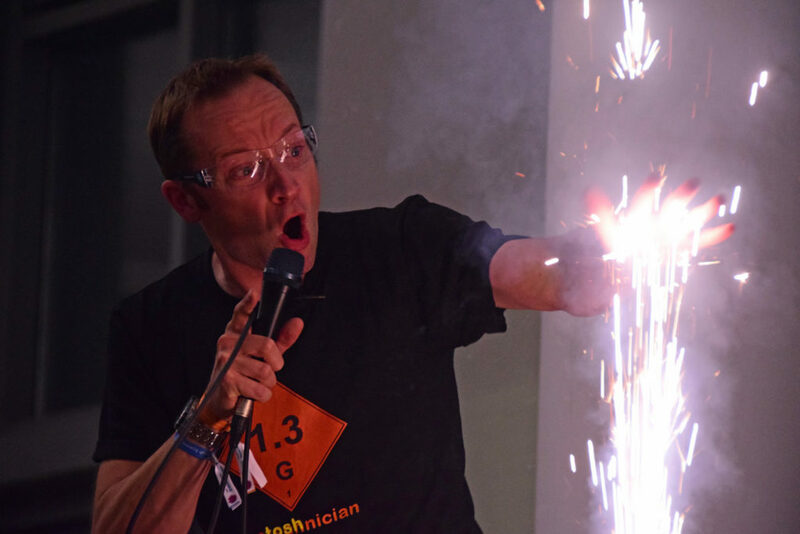 Organisers aim to welcome around 75,000 people to the free science and engineering extravaganza, and Matthew is standing by to unleash his pyrotechnic wizardry at the event. Matthew is no stranger to The Big Bang, having judged and moderated CREST projects and National Science and Engineering Competition entries for the past three years. Prior to that, he was involved in organising the event and helping STEM Clubs to exhibit. This year marks a significant change for Matthew, as he brings a stage show to the four day event and shares his passion for STEM and the performing arts. “I’m really excited to be presenting this year. It’s an amazing event and showcases a whole range of projects, inventions and careers in which the STEM subjects are used. It really opens the eyes of young people to what is possible and why those subjects are so important at school.” says Matthew, who will be demonstrating how STEM subjects are used to create spectacular firework displays around the world. Matthew’s stage shows at The Big Bang have been made possible thanks to generous support from Bristol-based Skyburst The Firework Co. Anyone prepared to sit in the front row? It’s completely free to attend, but places are going fast so register now to avoid missing out, at www.thebigbangfair.co.uk. 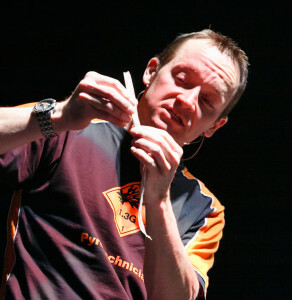 I have just written a blog entry on science demonstrations for the British Science Association website. I’m currently working with the Association on Get Set Demonstrate, a multi-phase project aimed at encouraging more teachers and technicians to try out new science demonstrations. The call for nominations is underway and we recently launched a promo video. You may even recognise the voiceover.